To make a long story short, we went by plane and came back by Ford. After an exhaustive testdrive and a short inspection on a hoist we decided that the substance of the car is good enough for the car to become a solid driver with manageable efforts. anybody who knows Beck's Beer ads? Although a desert car it had rust in the rear quarters and some patches in the trunk. Besides that some oil in the engine compartment. But at this time I knew already that this is quite common on FE Engines. 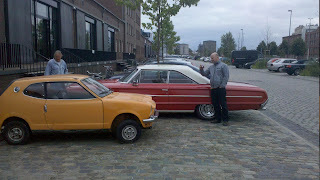 But as every electric device was working, the engine running smooth, the old C4 shifting smoothly as well, we decided to take the risk and driving 800 kilometers to bring it to another friends workshop. Vince of http://www.vin-cars.com/ will make the car streetlegal in austria. He should do a check and tell us what to repair over the winter to bring it on austrian streets by spring 2012. The journey was almost uneventful. 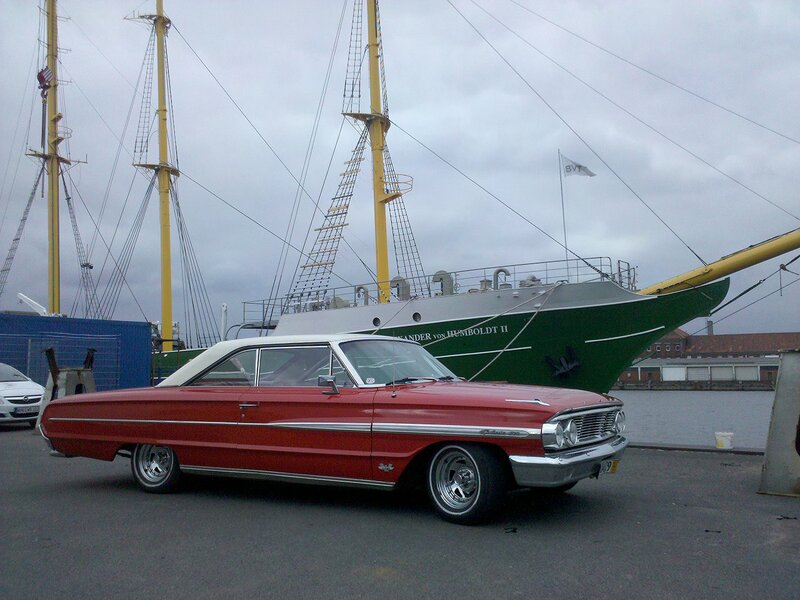 My friend snored throug about 400 kilometers of germany and the galaxie went without problems. 2 fuel stops, one gallon of Oil (the engine really leaks!) end seven hours later we arrived in Orth/Innkreis at Vinces Ford-Dealership. We left the car and finished our trip to vienna in my Volvo. Thanks, Leslie, for picking us up. Vinces Verdict was not much of a surprise. I will have to replace almost everything on the car thats not made of steel or glass. To get "MOT § approval" we will have to change all rubbers on the chassis and almost every gasket on the engine. Someone should take care of the rear quarter panels. wheatherstripping has turned to dust as well, but austrian gouvernment doesnt care about that. So may be I will do that later. This and a lot of smaller issues will keep me busy over the winter. But before we take the car apart, it will have to do the "Herbstzauberklassik". I will tell you more about hat next time.